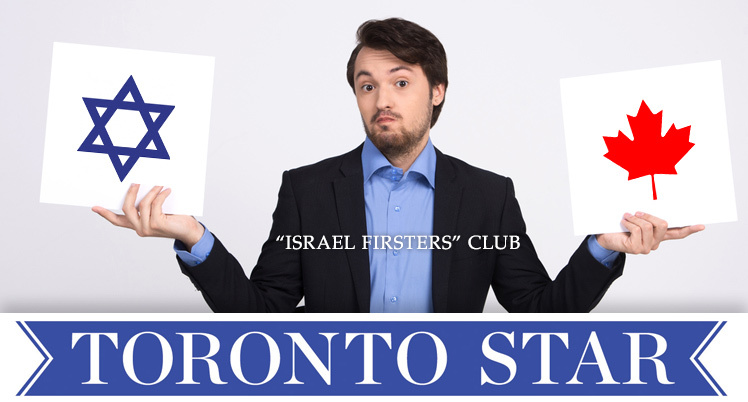 On May 9, the Toronto Star published a letter to the editor on its website by writer Marjorie Robertson who, in maligning Israel as an “apartheid” state, employed the anti-Semitic term “Israel firsters”. In her letter, Robertson claims that Canadian Jews put Israeli interests over Canadian interests. HRC contacted the Toronto Star, informing the Star’s Public Editor that the term Israel Firsters consists of a classic anti-Semitic trope which accuses Jews of being loyal to world Jewry rather than the country of their citizenship. The accusation of Jewish dual loyalties is a central tenet of Nazism, Stalinism and other anti-Semitic ideologies which is used to sow anti-Jewish resentment and breed Jew hatred domestically and abroad. As David Bernstein noted, the term “Israel-firster” is used by a variety of anti-Semitic “right-wing” sources like DavidDuke.com and the phrase also is used in far left anti-Israel sites that have ties to the anti-Semitic far-right or are known for playing footsie with anti-Semitism. Indeed, the term is roundly considered to simply be over the line .